Widespread flooding from Hurricane Florence has closed hundreds of roads across North Carolina and South Carolina, including portions of major arteries I-95 and I-40. ARTBA has about 150 member firms in the two states. The head of its regional chapter, Carolinas AGC (CAGC), says it is too early to assess the damage under the flooded roads. “There are still portions of North Carolina under a lot of water. For eastern North Carolina, it’s going to be a long time before they get out of this,” said Dave Simpson, CAGC president and CEO. President Trump Sept. 17 declared disasters in both states and approved federal reimbursement through FEMA. At least 36 people have died from the storm, which made landfall on Sept. 14. 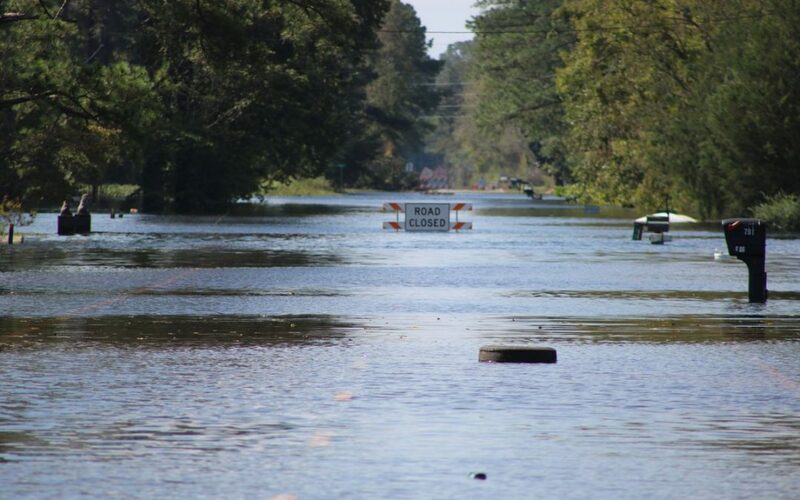 As of Sept. 21, the South Carolina Department of Transportation (SCDOT) said 189 roads remained closed throughout the northeast portion of the state, with hundreds of maintenance employees and heavy equipment vehicles working to clean up debris. The North Carolina Department of Transportation (NCDOT) warned against traveling in most of the southeastern and south central parts of the state. More than 650 roads remained closed in North Carolina. Coastal ferry service had partly resumed by Sept. 19. Amtrak passenger rail service in and through North Carolina resumed Sept. 21, but some service in the Southeast U.S. could remain impacted until at least Sept. 25. CAGC’s Simpson said their member companies are reporting “horror stories” about the effects of the storm, with some still in “very precarious” situations. The group established a disaster relief website with links to reputable organizations that are collecting funds to support recovery in both states. CAGC, SCDOT and NCDOT continue to update their websites and social media with the latest information about road conditions and the recovery efforts.